Digital Voice is a division of Nielsen, of the Nielsen Ratings, that provides media outlets and retailers with market research about how the public is using the web. Joining is free. You register, then download a totally secure piece of software that Nielsen uses to aggregate information on your surfing patterns. As a member of Nielsen Digital Voice, you won’t just be contributing to our research on Internet trends; you’ll also be rewarded for your important contributions! 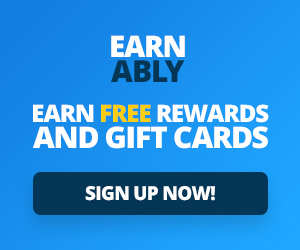 Register, download the app, and surf the web, and you’ll automatically earn regular entries into the $10,000 Monthly Sweepstakes – that’s up to $120,000 a year we give away to our members! In essence, if you remember the old days of jotting down everything you watched on TV in a Nielsen notebook, or today everything you watch is tracked instantly because TV is digital, then this is that same thing for the internet. After downloading the software you don’t need to do anything else to be eligible for the monthly drawings. You will occasionally be emailed surveys you can complete, but they are optional and don’t have bearing on your entrance in the monthly drawings, and you can quit your participation at any time. The main purpose of this research panel is to evaluate the behavior, trend and rate of consumption among internet users. With the information it collects, it helps online businesses, advertising agents, media companies and financial institutions come up with the right decisions regarding internet marketing strategies. The Nielsen Company is one of the most trusted global research companies that have been running for more than 90 years. Apart from the Nielsen Digital Voice, it also runs the AC Nielsen and Nielsen Media Research. When you download and install the Nielsen Digital App, you will be automatically given entries to the monthly sweepstakes, where you have the chance to win up to $10,000 monthly prizes and $120,000 yearly prizes. Another way you can get rewards is by participating in its special surveys. For each survey that you complete, you receive one entry to the monthly sweepstakes draw, where you can win $10,000. 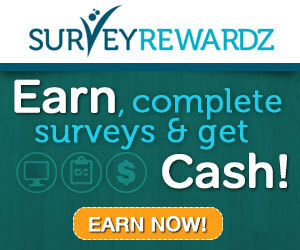 Can you earn money from Survey Junkie?